Karen hails originally from Michigan where she started raising orchids in 1972. She was a member of the Michigan Orchid Society and held all of the offices of the Society including show chair, program chair, vice president and president. In 1997, Karen became an accredited American Orchid Society Judge. Eighteen years ago, Karen moved to Irvine, California where she retired in 2002. Karen now resides in Laguna Niguel, California. 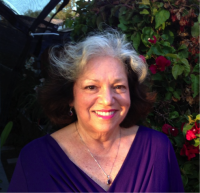 Karen served five years as Chair of the Pacific South Judging Region and was an AOS Trustee. 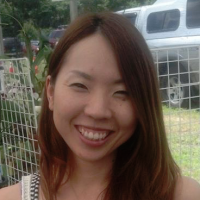 She is the Affiliated Societies Chair and Treasurer for Orchid Digest. Karen has traveled to Canada, Guatemala, Ecuador, Brazil, South Africa and Japan to attend, lecture at, and judge orchid shows. 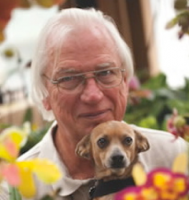 Paul TuskesThe Palomar Orchid Society is pleased to welcome back Dr. Paul Tuskes. Paul’s presentation will be on “Encyclias and their relatives”. Encyclia and related genera occur from south Florida to Brazil and live in a wide range of habitats and elevations….. meaning they are ideal for everybody. He will focus on the best plants for the San Diego area and some of their hybrids. Paul has been growing orchids for 30 years and his photographs have been used in various books and journals. 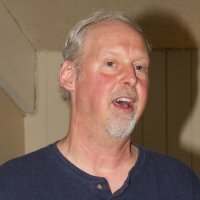 He serves as an AOS orchid judge and co-founded with his wife Ann the orchid species study group of the San Diego County Orchid Society. He was one of the first members of that society’s conservation group, which received a Conservation Achievement award from the American Orchid Society. Kai Klausing (and daughter)We are delighted to welcome back Dr. Kay Klausing, 1st VP of the San Diego County Orchid Society who will speak to us on orchids viruses. 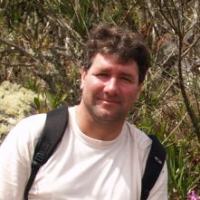 The title of his talk is "Orchid Viruses: Introduction and Practical Aspects of Virus Testing". During his Masters and PhD work, Kay used a virus as a model system for replication and, as such, he has had a long interest in and fascination with viruses. Kay will give a brief introduction to orchid viruses, but will focus mainly on the practical aspects from the point of growing orchids. He will give a live demo on how to perform tests, share the test results for his collection and provide tips on how to prevent the spread of virus in a collection. We start out 2016 with a meeting devoted to orchid culture. This topic will be highly beneficial for many of our newer members who are just entering the wonderful world of orchids. Experienced ￼member will gain some new insights from the presentations as well. Alex Nadzan will address the basics of orchid culture, by reviewing the common orchid classes and emphasizing the basic light, temperature and cultural preferences for each class. He will bring in examples of each class and provide suggestions for growing them successfully. Jerry Spencer, our expert cymbidium grower, will review the basic cultural requirements for cymbidiums and give a timely demonstration on repotting of these wonderful orchids that are well suited to our San Diego growing conditions. Members also are welcome to bring any orchid questions for the speakers. Our plant table will be comprised of numerous Australian dendrobiums donated by Ruben Colmenares and several of Fred Clarke’s select cattleya divisions given to us at year’s end. Phyllis PrestiaThis month, our guest speaker is POS member Phyllis Prestia. She will discuss her trip to the World Orchid Conference, held last year in Johannesburg, South Africa. Phyllis will take us on a tour of the displays and orchids at the WOC, including those that received the highest awards at the conference. She will also discuss some of the orchids of the South African and Madagascar regions, which she saw and photographed. 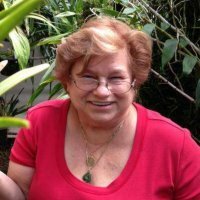 Since Phyllis herself grows many of those species, her presentation will include details and tips on the culture of rainforest and savannah terrestrials. Phyllis is a retired educator and middle school principal. She received a Doctorate of Education at Rutgers University, where she also served as instructor in the graduate education program. Originally from New Jersey, she moved to California with her husband to retire in the sunny San Diego area and grow orchids. Her collection includes a variety of species and hybrids across several genera grown both in a small greenhouse as well as three outdoor growing areas under shade cloth. In her orchid life Phyllis has been the president of the San Diego County Cymbidium Society and she currently serves as the vice-president of the Cymbidium Society of America. She served as second vice-president for POS, as well as chairman of the annual auction committee for several years. She is active in several other Southern California orchid societies and is currently participating in the orchid judge training programs of both the American Orchid Society and Cymbidium Society of America.